Ford Motor Co.’s Canadian sales and market share rose during the third quarter, the company said Thursday. The Detroit automaker sold 88,935 vehicles and grabbed 16.9 per cent of the market in the July-September period. Those numbers are up from 81,978 and 15.3 per cent a year earlier. Canada was a third-quarter bright spot for Ford, which posted a 56 per cent decline in third-quarter net income to US$957 million (Cdn $1.27 billion), stemming mainly from softer results in North America. Ford’s U.S. sales have declined in each of the past three months as the market struggles to maintain its record 2015 pace. Ford of Canada, however, was bolstered by a strong September, during which sales rose 6.9 per cent to 30,170 vehicles. A 21 per cent increases in F-series pickup sales helped overcome a 25 per cent decline in passenger cars. Ford sold 15,659 F-series models in the quarter. Overall sales during the same month in the United States were down 8.1 per cent. Ford’s North American third-quarter pretax income, which includes Canada, was US$1.3 billion (Cdn $1.74 billion), down from US$2.9 billion (Cdn $3.88 billion). Revenue for the North American region fell eight per cent. Even in light of the slowing North American market, CEO Mark Fields defended Ford’s outlook of a "much weaker than normal" second half of the year as the company reported a 56 per cent decline in third-quarter net income to US$957 million (Cdn $1.27 billion) today. "I would call our approach realism, not optimism, not pessimism" Fields said in a call with financial analysts Thursday. "It’s realism." Fields said that as North American sales growth slows, Ford foresees "a tough and more competitive pricing environment" with increased incentives. But he added that the market is flattening at a high sales volume, not declining sharply. "We don’t see a recession on the horizon, but we do see a marketplace that, from a cycle standpoint, has matured," Fields said. Ford’s third-quarter net income compares with a profit of US$2.19 billion (Cdn $2.94 billion) in a strong third quarter of 2015. Corporate revenue fell by six per cent to US$35.9 billion (Cdn $48 billion). Ford’s pretax profit was US$1.41 billion (Cdn $1.88 billion), down 55 per cent from the third quarter of 2015. Fields surprised industry observers when second-quarter earnings were reported in July, saying that softening U.S. demand, rising incentives and overseas challenges like the British vote to exit the European Union would bog the company down for the remainder of 2016. He also cited costs for the redesigned F-series Super Duty pickups, which Ford began shipping to dealers in August. For Ford's Q3 earnings report, go here. In a statement today, Fields said that "we remain on track to deliver one of our best profit years ever." Ford is sticking with its guidance that full-year pretax profit will be US$10.2 billion (Cdn $13.6 billion), which it lowered in September to account for the cost of an ongoing door-latch recall. Ford posted a pretax profit of US$10.8 billion (Cnd $14.4 billion) for 2015. • The door-latch recall, which will add US$640 million (Cdn $856 million) in costs this year. • Launch expenditures and supply disruption for the F series Super Duty trucks. • "Normalization" of F-150 pickup revenues. Shanks said that in the third quarter of 2015, having recently hit full production, Ford was selling a rich mix of F-150s primarily through retail. With an increase in fleet sales this year, the mix has become less lucrative, he said. "Those three things explain entirely the change in North America, which essentially explains the change in the company," he said. North American operating margins dipped to 5.8 per cent from 12.3 per cent in the strong third quarter of 2015. Global automotive operating margins fell 4.4 percentage points to 3.3 per cent. Ford had US$24.3 billion (Cdn $32.5 billion) in cash at the end of the quarter, down US$2.9 billion (Cdn $3.88 billion) from June 30 but US$700 million (Cdn $937 million) more than a year earlier. 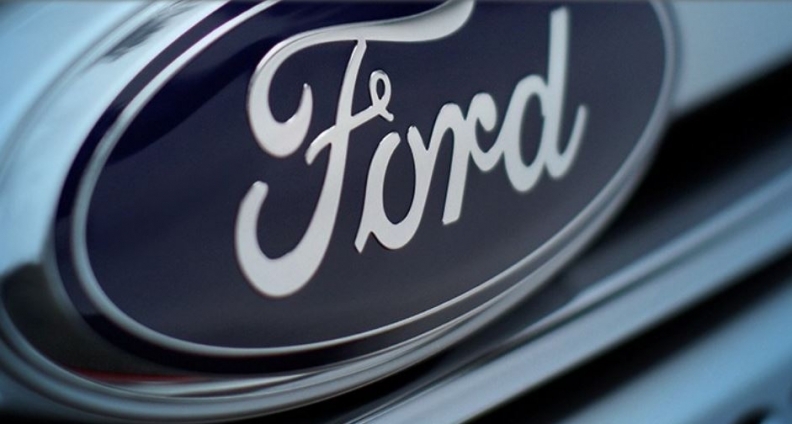 Ford's adjusted earnings per share dropped to US$0.26 (Cdn $0.35), half of last year’s US$0.52 (Cdn $0.69). The company is projecting full-year earnings per share to fall from US$1.93 (Cdn $2.58) last year to US$1.46 (Cdn $1.95). Ford’s Asia Pacific region delivered a record third-quarter pretax profit of US$131 million (Cdn $175 million), up US$109 million (Cdn $145 million). Ford’s joint ventures in China added US$320 million (Cdn $427 million) to the pretax profit, up from US$67 million (Cdn $89.4 million) last year. In Europe, Ford booked a pretax profit of US$138 million (Cdn $184 million), its best third-quarter result since 2007. Shanks reaffirmed Ford’s expectation of a US$140 million (Cdn $187 million) hit to second-half profits due to the British vote to exit the European Union and the subsequent decline of the British pound. South American pretax results declined to a US$295 million (Cdn $394 million) loss, down from a US$163 million (Cdn $217.7 million) loss a year earlier. But Shanks said that the company thinks the Brazilian economy has bottomed out and is poised to rebound. Ford Credit posted its strongest quarter since 2011, with a pretax profit of US$567 million (Cdn $757 million), up from US$541 million (Cdn $722 million) a year ago.